People want to come home to beauty and durability, and the aesthetic effect of masonry is endless. 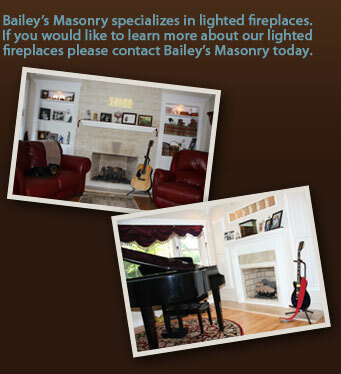 From chimneys and chimney repairs to complete masonry additions to your home, Bailey’s Masonry has the experience and reputation you can count on! If you are a residential property owner in in Louisville, Shepherdsville, Elizabethtown, Radcliff, Ft. Knox (Fort Knox), Kentucky and are in need of maintenance or repair of existing masonry contact Bailey’s Masonry today. We specialize in interior and exterior projects, new construction, remodeling, restoration, new design and re-design.